Professor Tagwira was appointed Vice Chancellor of Africa University (AU) in April 2009, after previously serving in an interim capacity. He joined AU in August 1992 as the first full-time academic member of staff in the new Faculty of Agriculture and Natural Resources (FANR) where he started as a senior lecturer before rising to professorial rank. He has been a part of the team that has made AU the model private higher education institution in Africa. He served in various university committees including the Senate, Research, Graduate Studies, Financial Aid and Information and Communication Technology (ICT). He represented the Senate on the University Board of Directors from 1995 to 1998. He served as the Dean of the FANR for 5 years. Professor Tagwira is widely published, including three book chapters and more than 35 scientific articles in refereed regional and international journals. Having grown up in rural Zimbabwe, Prof Tagwira identifies with many people who survive on a dollar a day in Africa. As a result of his research activities, Prof Tagwira has received a number of grants from donors like the Rockefeller Foundation and International Foundation for Science. As a keen environmentalist, Prof Tagwira chaired the Agenda 21 for the City of Mutare, a platform for environmental awareness that brings various stakeholders together. He was also part of the team that developed the Integrated Environmental Assessment and Reporting (IEAR) manual for the United Nations Environment Program (UNEP) which is now used by African governments in reporting the national state of the environment. Prof Tagwira was awarded the AU Best Researcher Prize in 2002 during the AU's 10th Anniversary Celebrations. Before joining the AU, Prof Tagwira worked for the Ministry of Agriculture in the Government of Zimbabwe for 10 years rising through the ranks to Principal Research Officer and Head of Soil Fertility and Plant Nutrition where he led a team of the ministry's research scientists and advisory officers. Together with Prof Mphuru, the then Dean of FANR, Prof Tagwira worked tirelessly in setting up the FANR which has produced quality graduates, a number of whom now hold Masters and PhD degrees from leading institutions in Europe and America. Prof Tagwira was born in 1957. He holds a B.Sc. in Chemistry and Biology from the National University of Lesotho, an M.Sc in Soil Chemistry from Reading University in England and a PhD in Soil Chemistry and Fertility awarded by the University of Zimbabwe but carried out in conjunction with Michigan State University in U.S.A.
Prof Tagwira is not only a good teacher, an accomplished researcher, community worker and environmentalist but is also a devoted Christian. Prof Tagwira is married to Margaret and together are blessed with 3 daughters: Tendai, Ruvimbo, Kudzai and a son, Tapiwa. Prof Tagwira is a Fellow of the Zimbabwe Academy of Sciences; Chair of the Zimbabwe Institute of Public Administration (ZIPAM) Board; Board member of the Research Council of Zimbabwe, Tobacco Research Board and the Regional Universities Forum for Agricultural Research in Africa (RUFORUM). He is also a Fellow of the Leadership for Environment and Development (LEAD) and member of the Manicaland Vocational Training Centre Board. 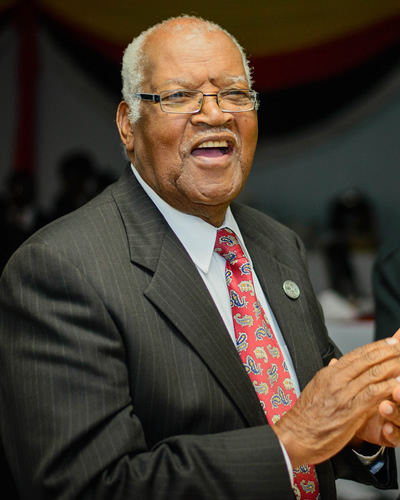 In April 1998, Professor Murapa succeeded Professor John W. Z. Kurewa, as Vice Chancellor of Africa University.Professor Murapa also served on several Boards including Air Zimbabwe, Astra and Fidelity Assurance. He was the President of the International Association of Methodist Schools, Colleges, and Universities(IAMSCU) and was also he is member of the United Methodist University Senate . As Chairman of the International Planning Committee, Professor Murapa directed the development of the Faculty of Management and Administration and the design of the MBA programme at Africa University. He was instrumental in securing the support of the Commonwealth Secretariat in the establishment and operations of the programme in its early stages. He also served on the United Methodist General Board of Pensions and Health Welfare. Professor Murapa is a founding member of the African Association of Political Science and the African Association of Public Administration and Management. Professor John W. Z. Kurewa was Africa University's first Vice Chancellor. He joined the University project during its planning stages and remained at the helm until December 1997. As Africa University's founding Vice Chancellor he played an important role in efforts to get the institution chartered and launched in Zimbabwe in 1992. Professor Kurewa served as the World Council of Churches' Secretary for Evangelism from 1978 to 1980. He joined the management team of Africa University from the post of Secretary to the Parliament of Zimbabwe. Professor Kurewa did his undergraduate and postgraduate studies in the USA. He holds a B.A. 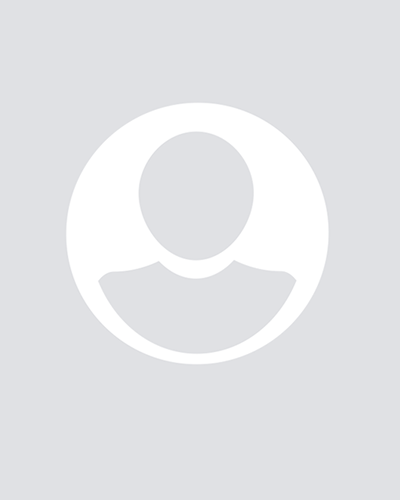 in history, philosophy and sociology from Asbury College in Kentucky and a B.D. from Garrett Theological Seminary in Illinois. He earned his master's and doctoral degrees from Northwestern University in Illinois. Professor Kurewa returned to AU in January 2000 as an Associate Professor in the E. Stanley Jones Chair of Evangelism. This endowed Chair, set up in the Faculty of Theology, was funded by the Foundation for Evangelism of the United Methodist Church. Key objectives of the Chair include shaping an understanding amongst believers that everyone is an evangelist; enabling persons to speak about evangelism in both the African and global contexts with confidence; and helping evangelists to share the faith in ways that suit their personalities and lifestyles.